North Africa-Naples convoys, interspersed with fire support missions, continued until 21 January 1944, Cape Anzio after delivering the craft, she remained in the area to screen the transports. On the 24th January 1944 she fell victim to one of the numerous air attacks and 52 crew were killed. 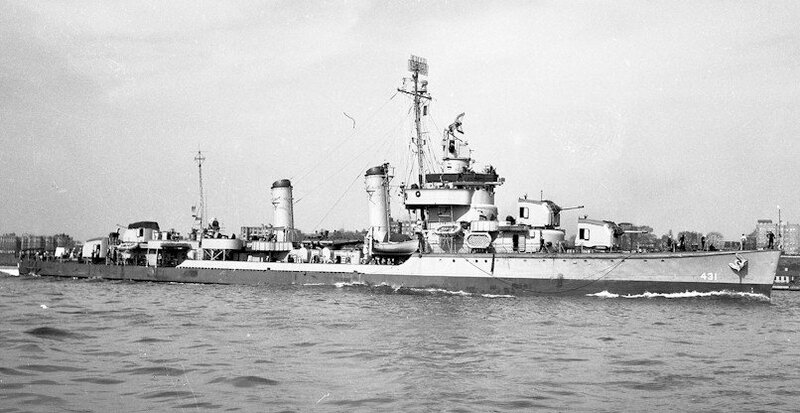 Transferred to Taiwan 16 February 1954 and renamed Nan Yang. Nan Yang was stricken and scrapped in 1975.